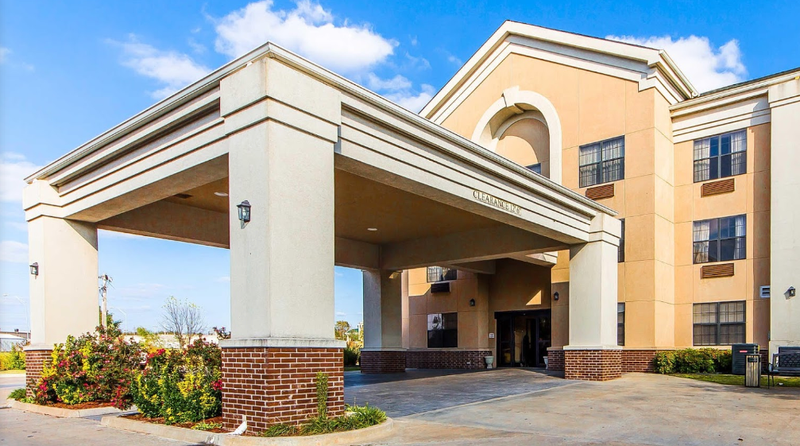 Quality Inn & Suites in Muskogee offers full service amenities, including a restaurant and bar, heated indoor pool and spa and exercise room. Guests can rest up in suites and book banquet and meeting facilities. Some rooms come with microwaves and refrigerators, and all include free high speed Internet access.